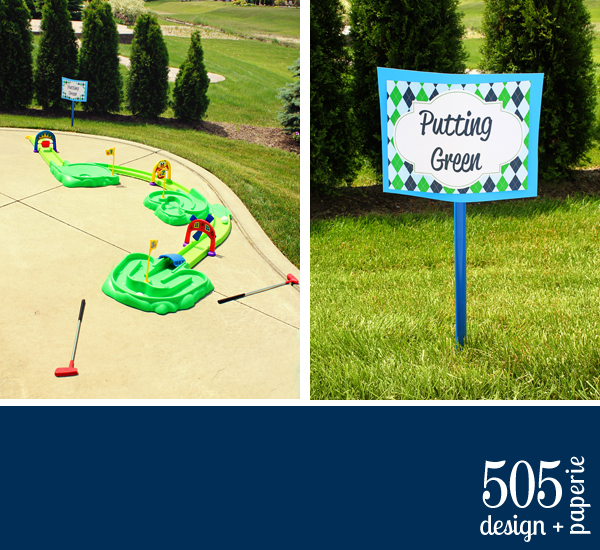 I’m back with Part 2 of Little Man’s Golf Birthday Party (click here to check out Part 1). The first part focused on all the gifts and goodies the Little Ones recieved. Now it’s on to the fun and games! 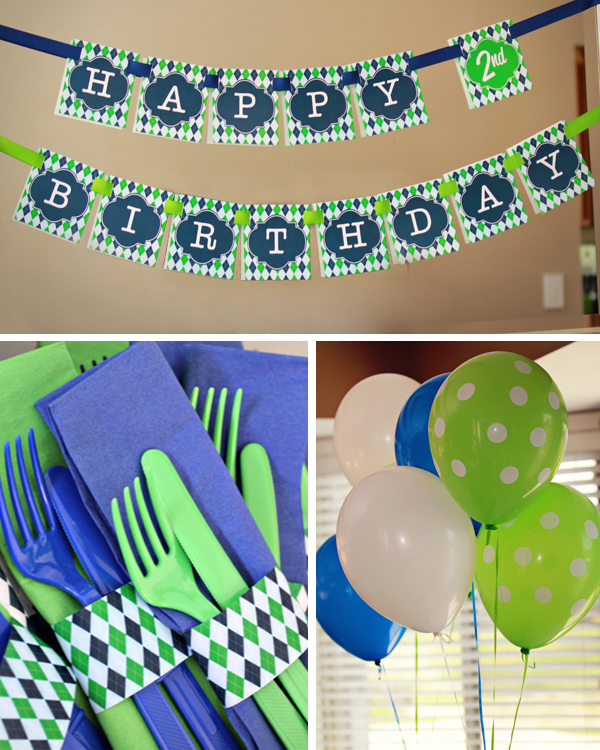 And of course the best part of having a summer birthday…pool party! 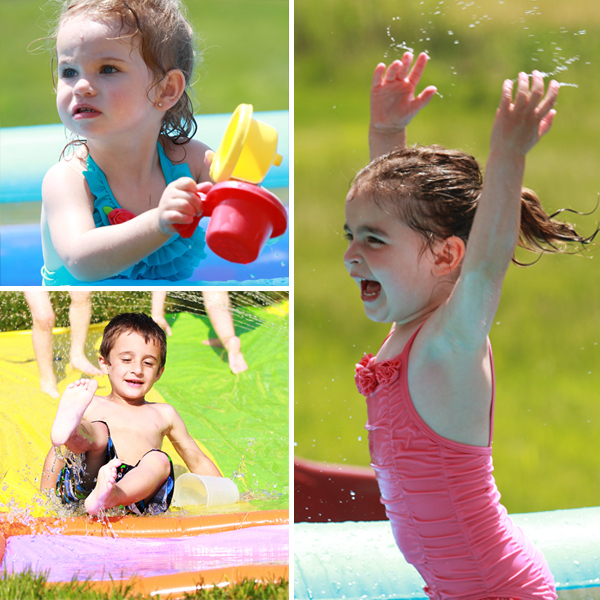 Well a kiddie pool, but they loved it. 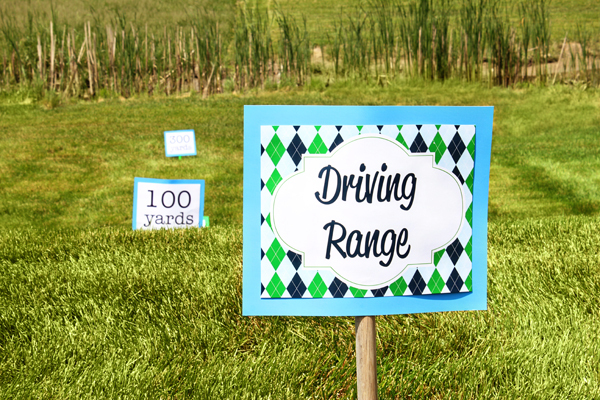 After much research I picked a delicious kid friendly menu and titled everything with some appropriate golf names. 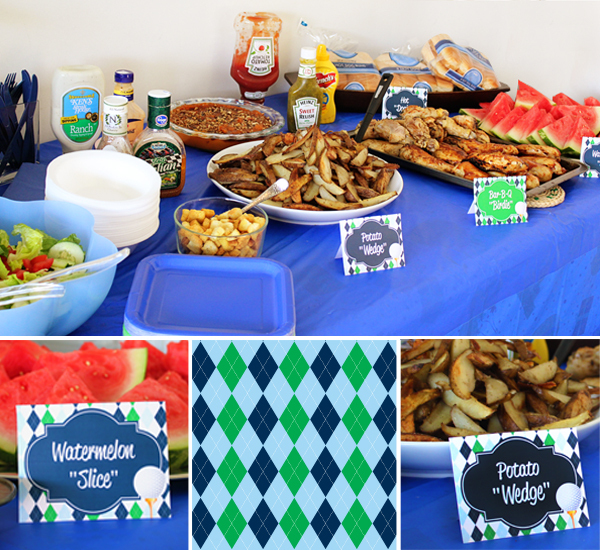 “BBQ Birdie” ~ Chicken, Potato “Wedges”, Watermelon “Slice”, and Hot “Dogleg” ~ Hot Dogs. 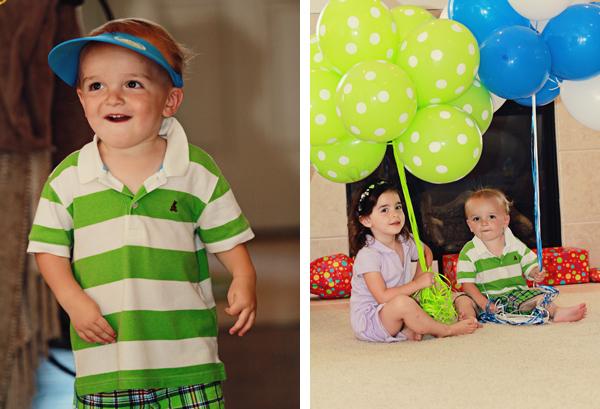 And the part that made my whole day…his expression after seeing the house all decorated for his party. 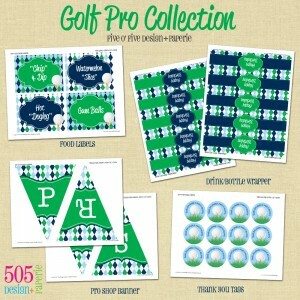 Interested in hosting your own Golf Themed Party – Check out the Golf Pro Printable set now available in the shop.